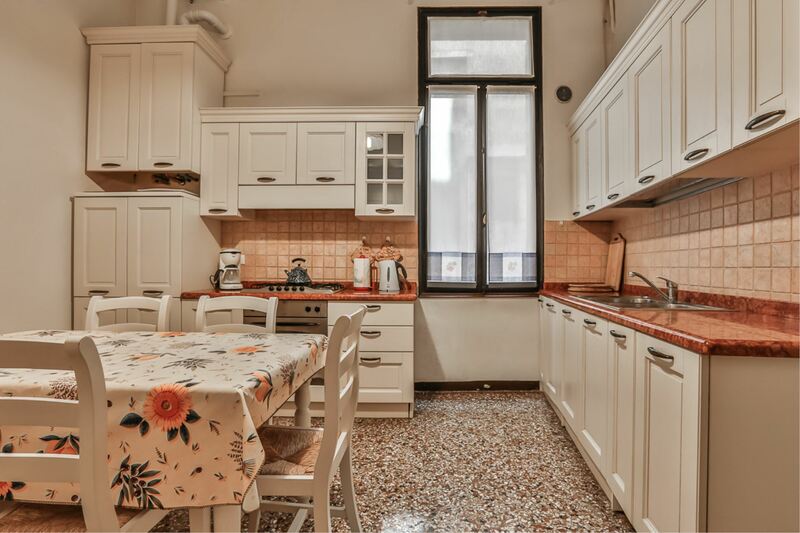 This spacious apartment, with a unique view, is located in Sestiere Cannaregio, a few minutes on foot from Rialto bridge, close to San Giovanni Grisostomo church and the Ca' d'Oro. 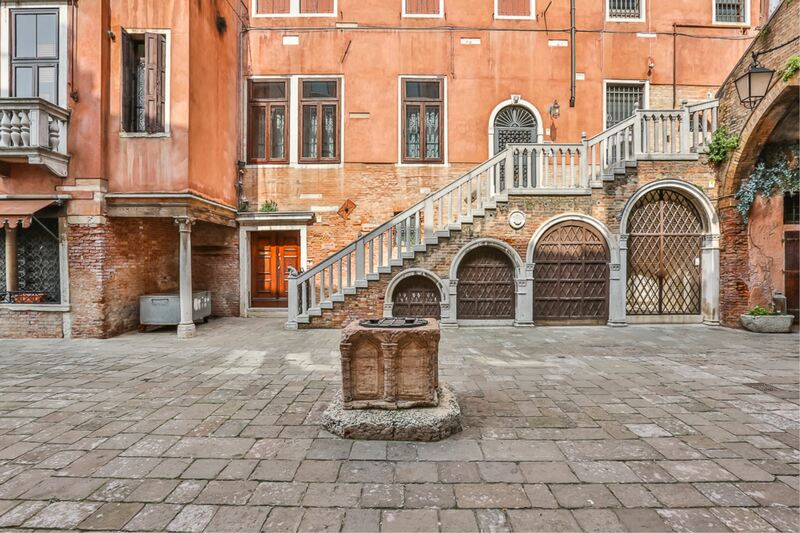 A hidden campo in a central location, where Venetians meet for the apéritif and for shopping. 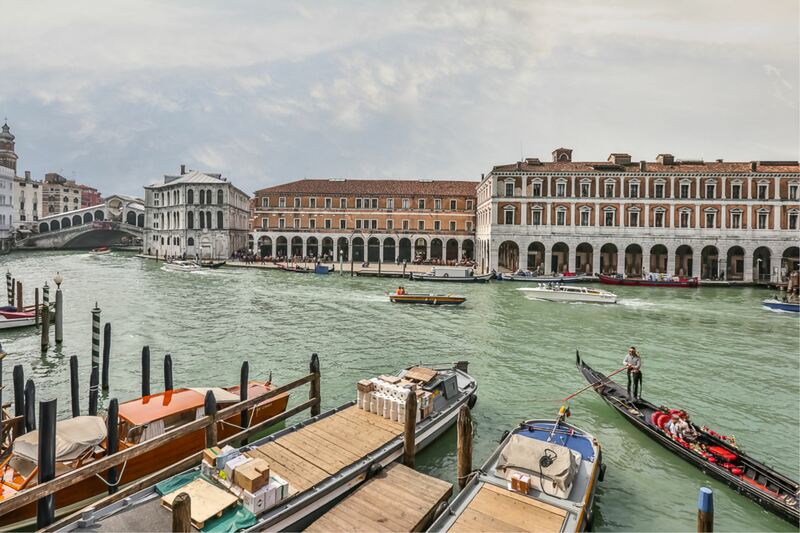 Rialto Market is just on the other side of the Grand Canal, Saint Mark's square lies at 10 minutes on foot. 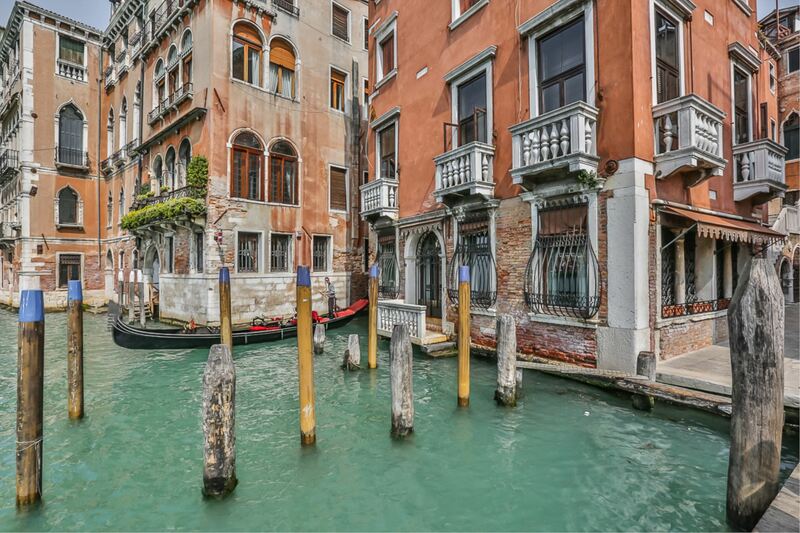 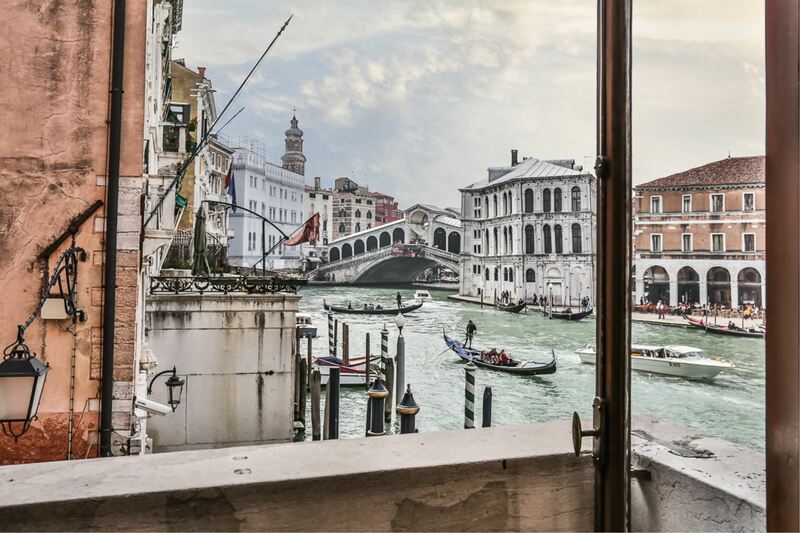 You'll have the chance to admire, directly from your living room, the astonishing sight of the Grand Canal with its boats and gondolas, Rialto Bridge and Rialto Market! 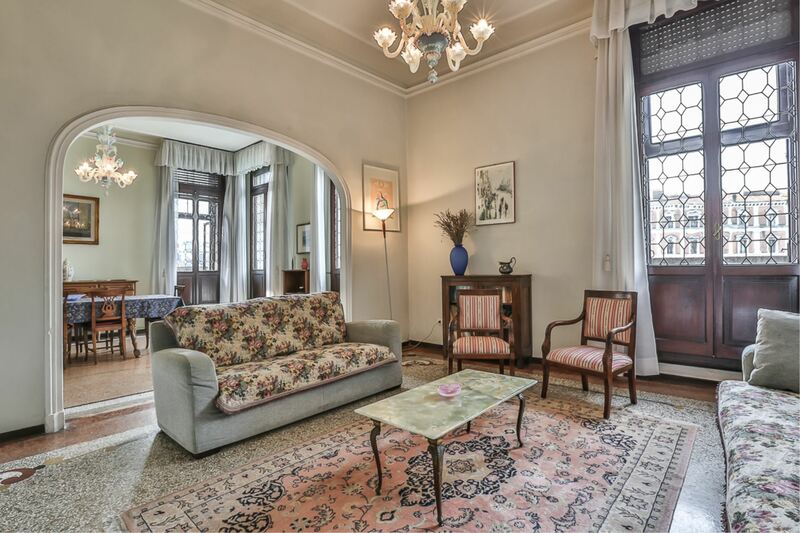 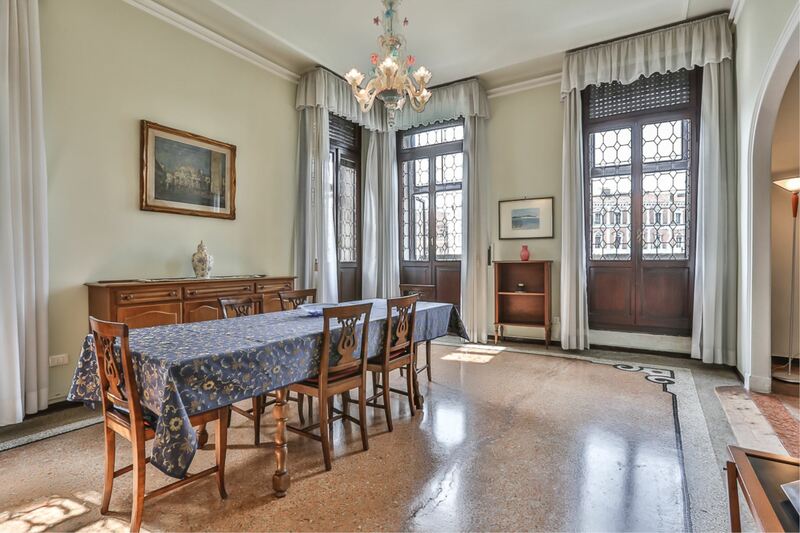 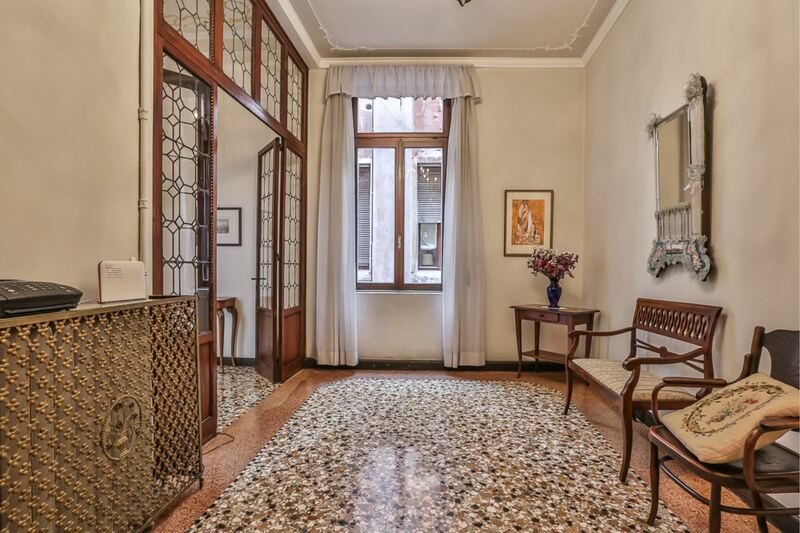 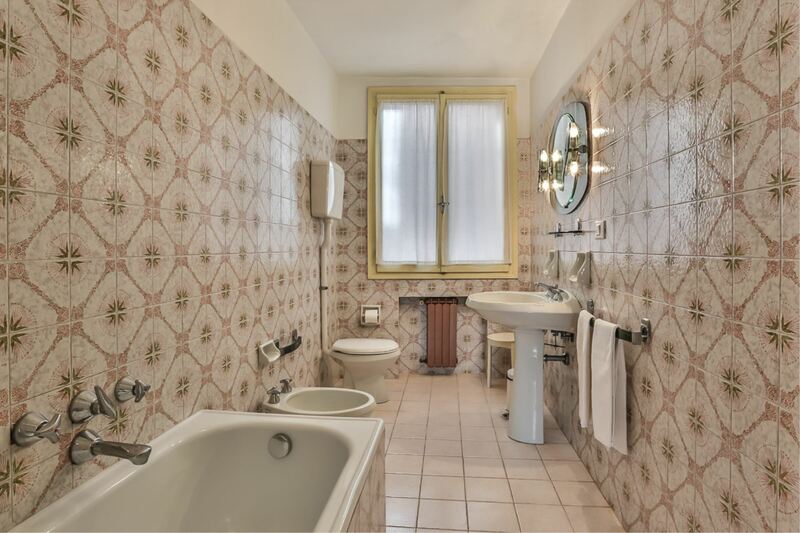 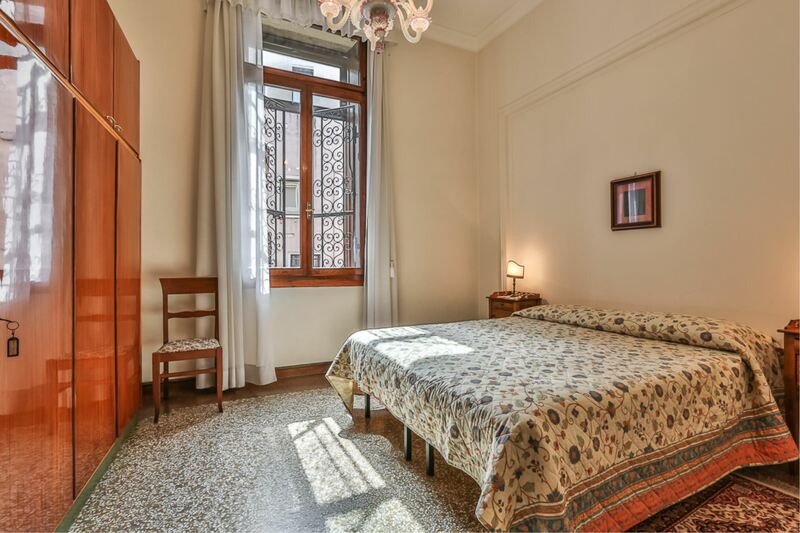 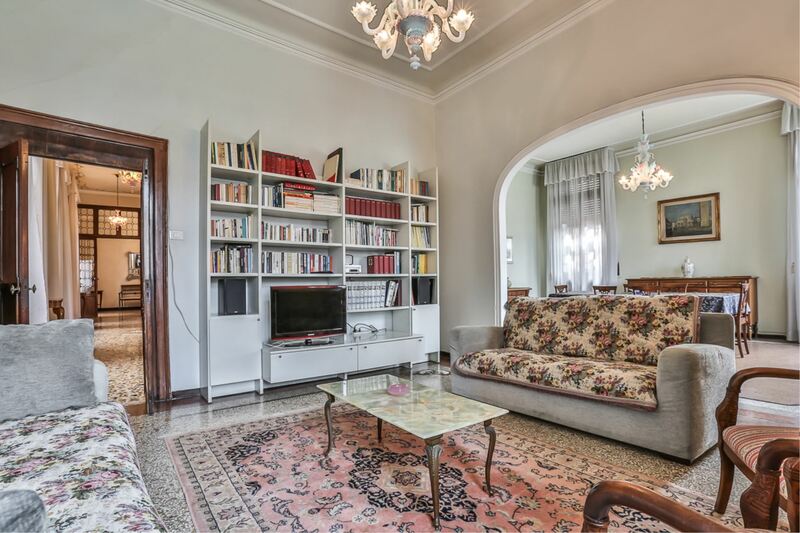 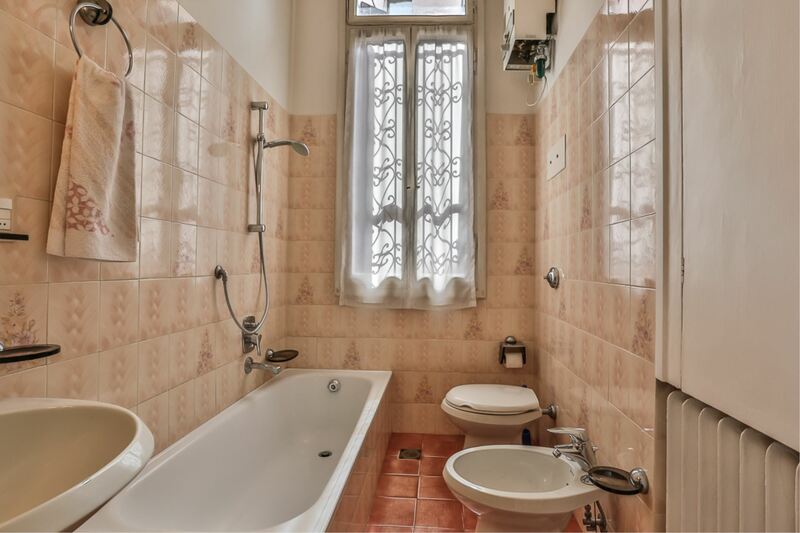 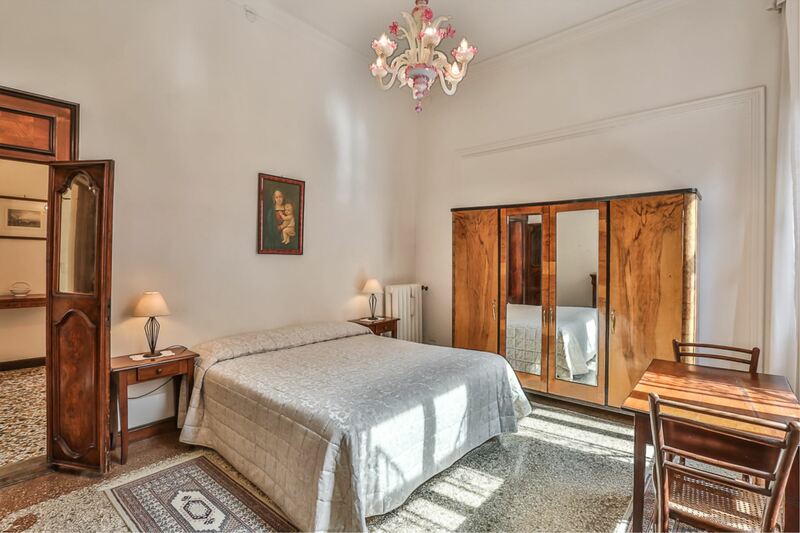 The flat is 200 sqm in surface, it sleeps 7 and it's located on the 1st floor of a well maintained historical building, with entrance from a court on the Grand Canal. 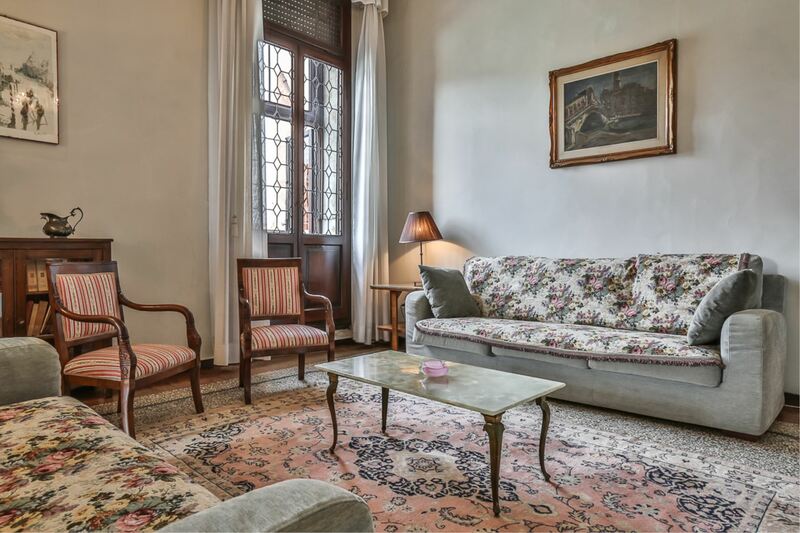 It's composed of: spacious entrance and corridor, living room and dining room overlooking the Grand Canal and Rialto bridge, master bedroom with en-suite bathroom with tub; 2 double bedrooms, single bedroom, well equipped kitchen, bathroom with tub. 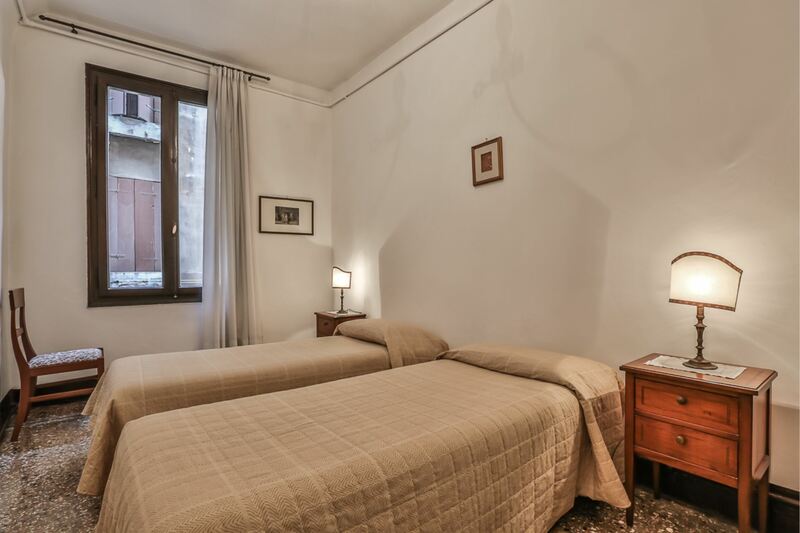 All bedrooms can be prepared with queen bed or twin beds. 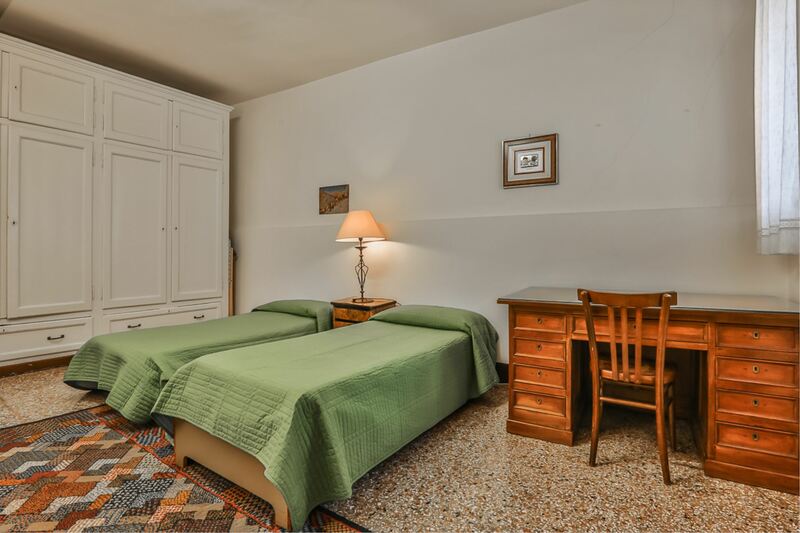 Equipment: tv, telephone, oven, dishwasher, cooking rings, fridge with freezer, washing machine. 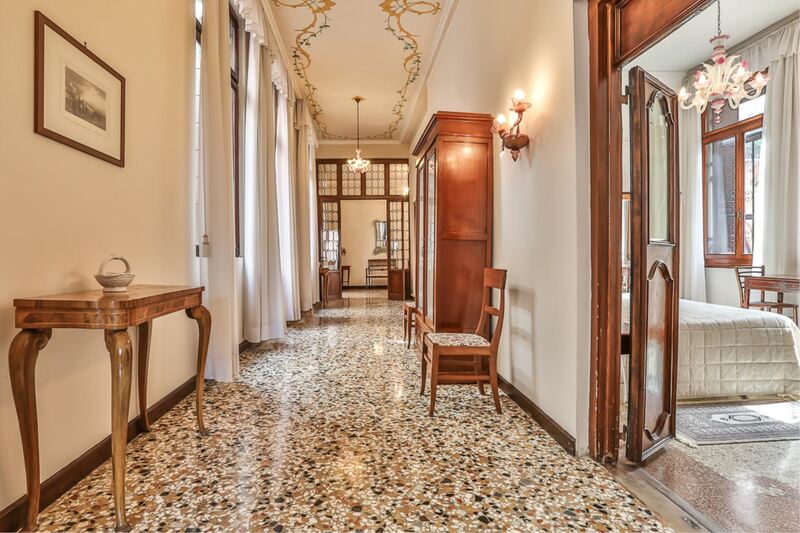 A typical Venetian home, with nice terrazzo floors and an astonishing view. 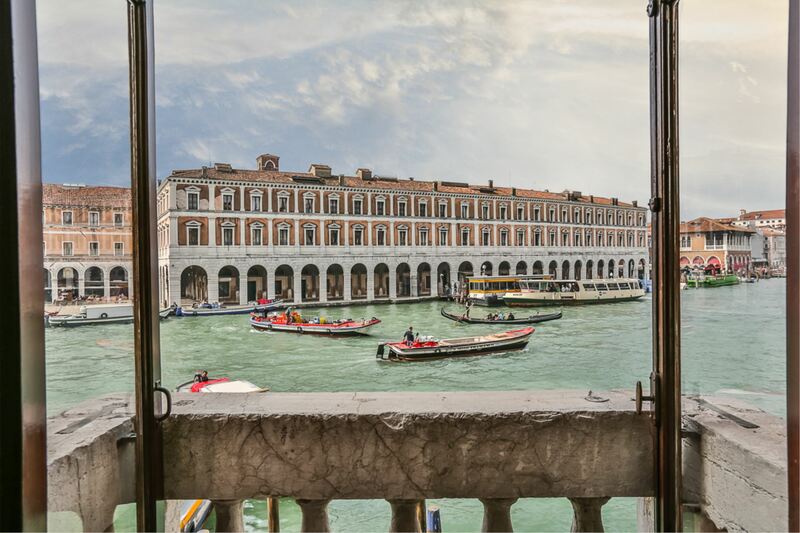 Sketches in our photo gallery by architect Jonathan Yardley, a dear guest of ours, taken from Canal Grande windows!